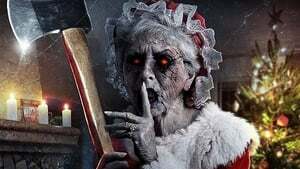 Have you ever wondered why we haven’t had a horror movie where Santa’s wife slaughter’s a bunch of people? After all, Santa has been the subject of plenty of horror movies. This year, his main lady is finally getting a chance to shine in the ultra-low-budget Mrs. Loveling Claus and we have the trailer to prove it. This thing may look totally schlocky and like it was made for the amount of money one might find in their couch cushions, but it’s about time we see the number one woman of the holiday season getting in some slasher time. The trailer itself is corny as can be, but it does have the right idea. It opens up with some friends gathered around at a Christmas party, while a slow and kind Grudge of creepy version of We Wish You a Merry Christmas plays in the background. We then learn of some dark sorority nonsense that led to an innocent girl being killed. One of the members of the group then posits that ugly people never get killed. According to him, being ugly is a good way to stay safe. Both Jason and Freddy get a namedrop before the movie’s titular killer emerges. B-movie, no, better make that D-movie carnage ensues. Here’s the synopsis for Mrs. Claus. It’s honestly a bit surprising that something like this hasn’t happened sooner. Not to say this movie looks particularly great or anything, but that’s not the point. Going back to the infamous Black Christmas in 1974, Santa Claus has been featured in a slew of horror movies over the years. Other Santa slashers include Silent Night Deadly Night, Santa’s Slay and Rare Exports: A Christmas Tale. 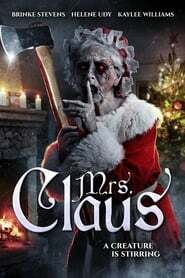 Seven in Heaven Why is it that nobody has thought to give Mrs. Claus her own movie until now?